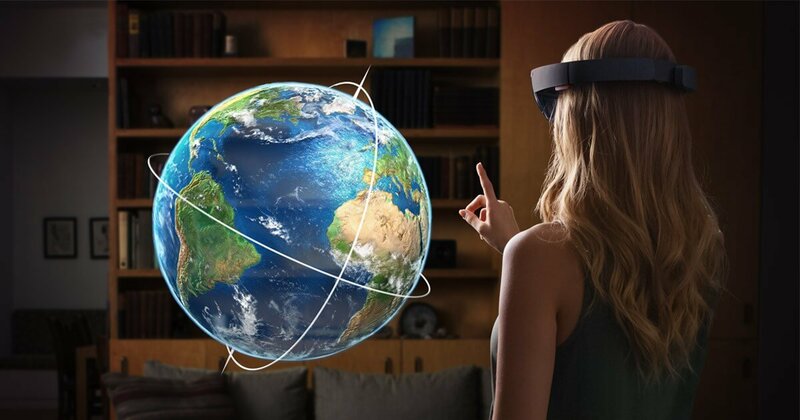 Unlike virtual reality headsets, such as the Oculus Rift, Microsoft’s HoloLens overlays images onto the actual environment around you. It accomplishes this by projecting light directly onto the eyeball, literally augmenting your vision. As Kelly explained, that meant that a “person on the ground could be drawing things in your field of view, and pointing to things, and I could be doing the same thing.” For instance, he added, “I could say, ‘Hey, is this the bolt or connector you’re talking about?’ And [Mission Control] can just write an arrow in your field of view.” Another feature Kelly found useful was the ability to keep track of tasks with a list off to the side of his vision. Since it’s so difficult to control your body and keep objects from flying around in the micro-gravity of space, it isn’t hard to imagine how something that makes information easily available could be useful aboard the space station. Of course, that doesn’t mean Kelly and his fellow crew members didn’t play any games with the HoloLens. He tried a game — probably RoboRaid — where you have to fight off incoming swarms of invading aliens by shooting them with your finger. We saw the game at E3, but it’s probably a bit more surreal when you’re actually in space. Kelly said, with a grin, that it was “kinda fun.” The best part, though? This footage (above) of him and fellow astronauts playing the HoloLens game while floating in space. The future is here.